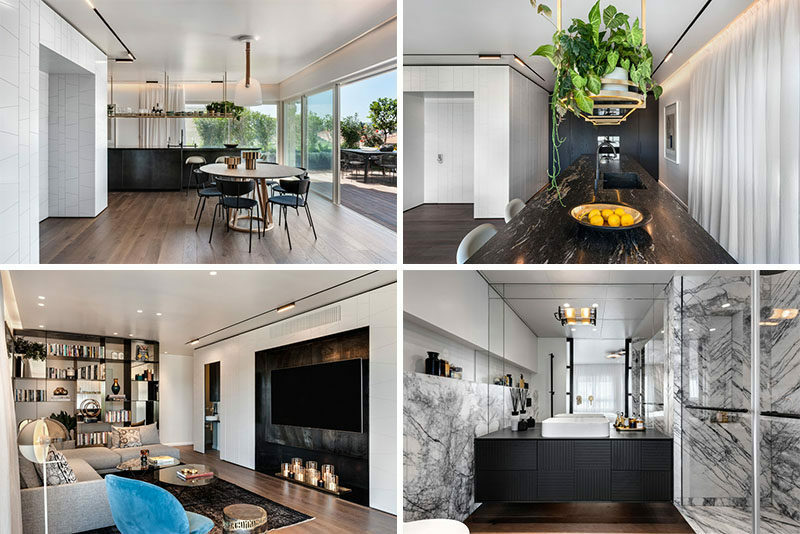 Interior designers Oshri Aviram and Dana Kushmirski have recently completed a modern penthouse apartment in Tel Aviv, Israel. Stepping inside, you’re greeted by an open plan kitchen, dining, and living room. 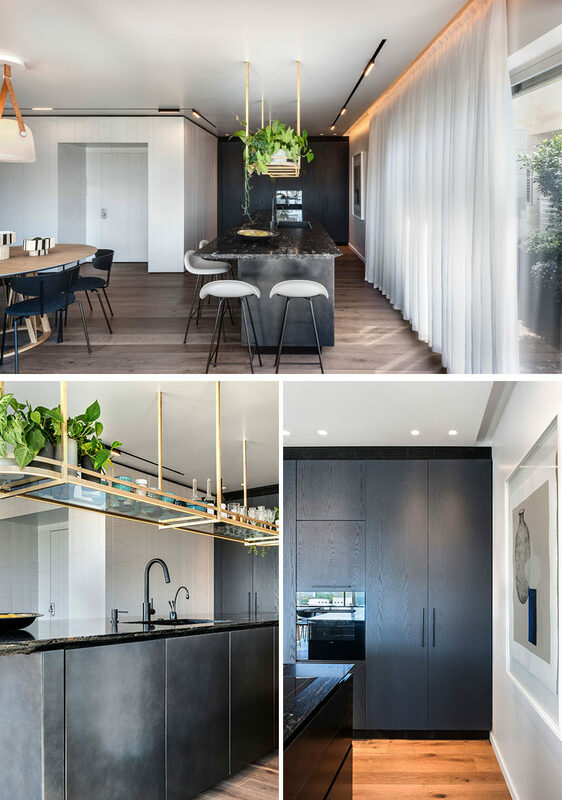 The kitchen, located at one end of the room, features dark cabinetry and a brass rack that hangs from the ceiling. Adjacent to the kitchen is the dining area. 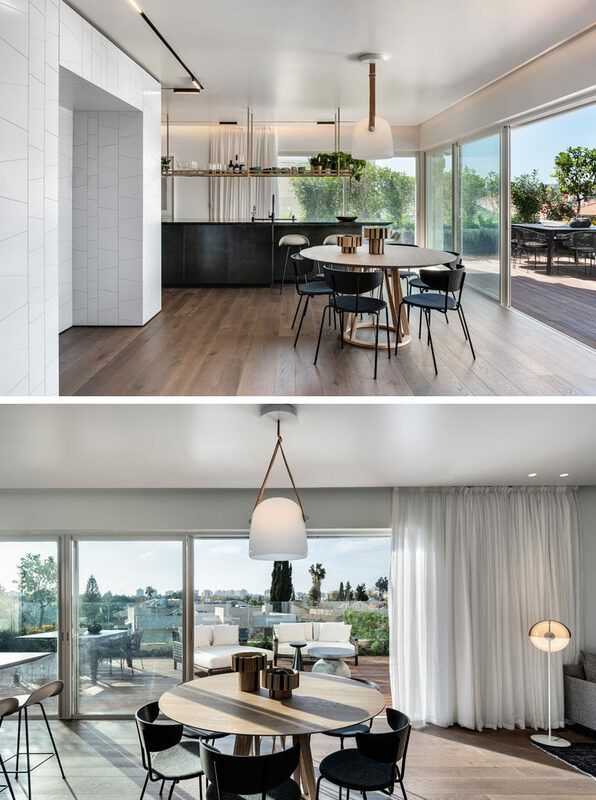 A sliding glass door opens up to reveal a large 570 square foot (53 sqm) roof terrace with views of the neighborhood. 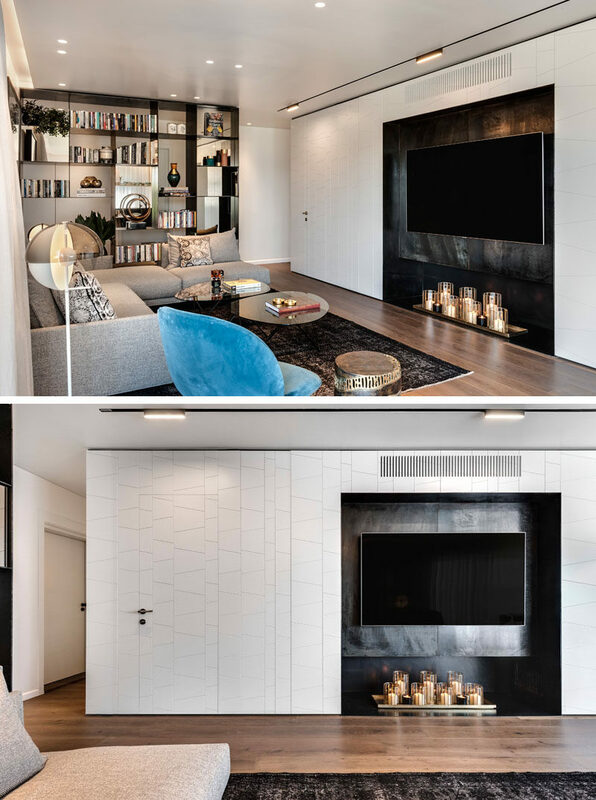 The dining area flows into the living room, where a white wall with decorative lines has a shallow alcove that creates a dedicated space for the television. Hidden in the white wall is the door to a small powder room. 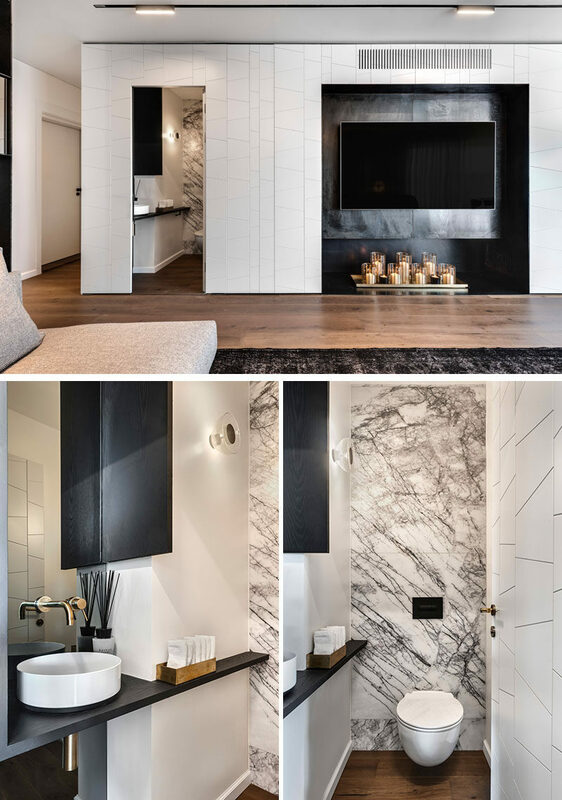 Inside, grey and white marble lines the back wall, while a simple black wood vanity fits against the adjacent wall. Dividing the living room for the hallway is a floor to ceiling black metal shelving unit. 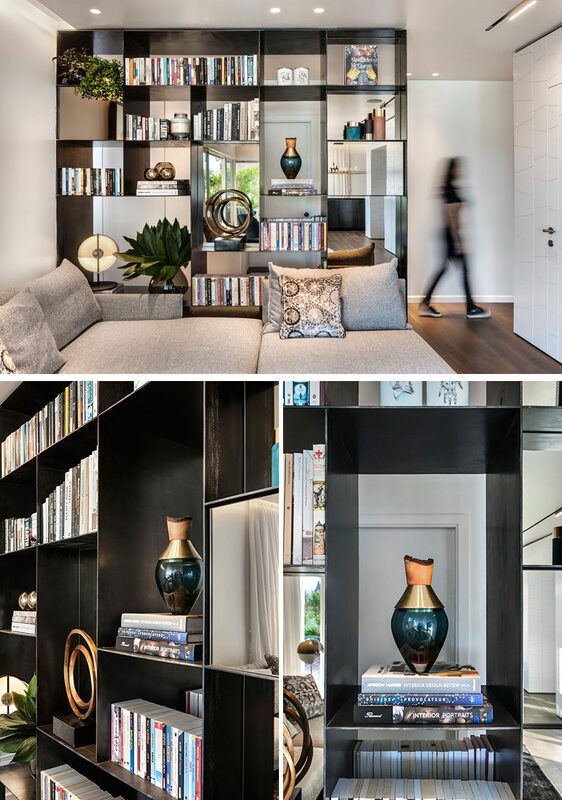 By creating an open shelving unit, it allows the light from the roof terrace and windows to travel through to the hallway, and at the same time provides a place to display personal items. 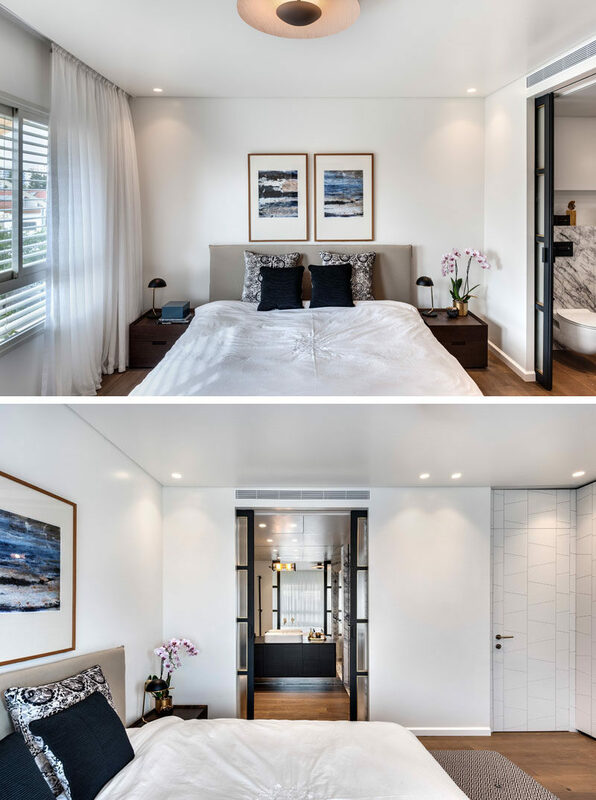 The penthouse has multiple bedrooms, however the master bedroom has an ensuite bathroom that can be accessed via a set of black framed sliding glass doors. In the ensuite bathroom, a large mirror fills the wall, while a black vanity with a woven pattern features on the front. 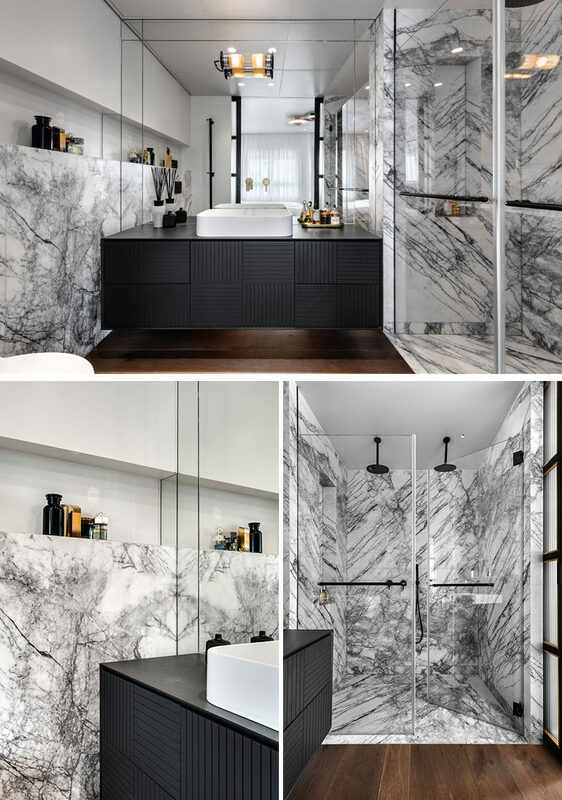 The same grey and white marble used in the powder room is used in the two-person shower, and on the wall behind the toilet.